Pop Pop Thai Street Food is a hidden, rather small Thai restaurant in Seattle's north side (also known as Aurora). Not visible from the main street but easy to find, it is located in a strip mall between a T-mobile store and across an LA Fitness gym. As I had done my research before going and wasn't too hungry, I knew that I would get the number 12 on the menu. 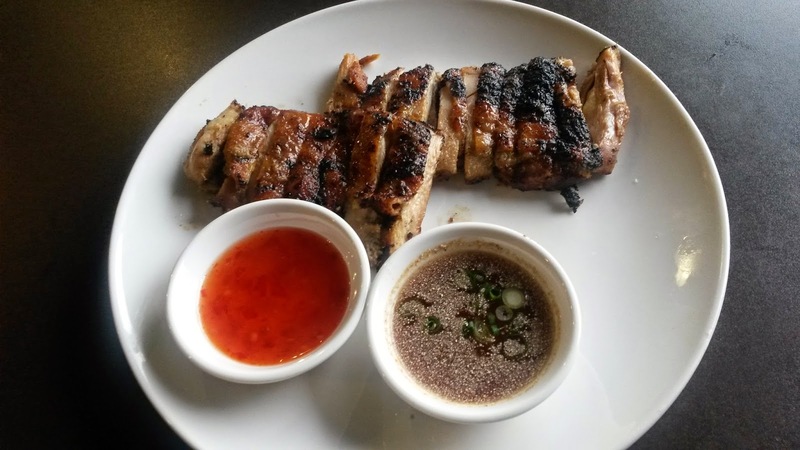 This was the "grilled chicken" that came with red chili sauce and a brown sauce which I think was made with fish sauce, soy, lime, scallions, and other spices. The chicken was grilled over charcoal in its skin and was marinated in coconut milk and lemongrass, spices and garlic which gave the caramelized flavor. I dare to say that this grilled chicken was probably the best chicken in my entire tasting life as it tasted almost like pork, was juicy and paired handsomely with both sauces. I held the rice that comes as a side because I wanted to have it plain and unspoiled from grains. 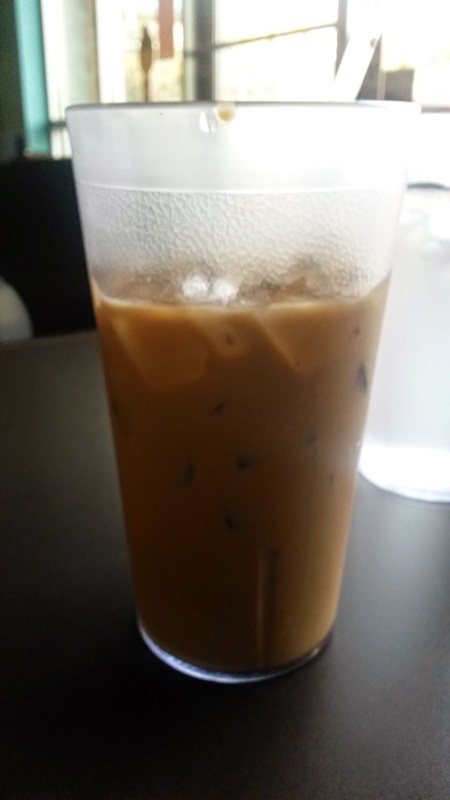 I only had the iced Thai coffee, a perfect blend of coffee, milk and sugar that couldn't get enough of. I will definitely go back to try other dishes, noodles, pad thai and the papaya salad. For sure. Very soon.